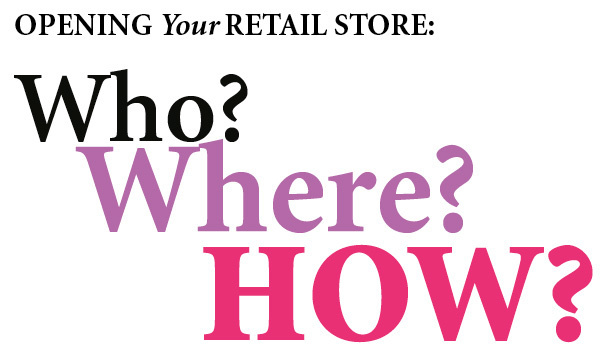 Opening Your Retail Store: Who? Where? How? Whether you’re opening your first store or your umpteenth, there’s plenty to consider, starting with WHO will you be serving, WHERE is best to locate, and HOW will your store speak to your clientele. The real estate mantra, ‘location, location, location’ is an important one, but like many over-simplifications it belies the complexity of the decisions required to open an optical store. It also ignores the fact that location is not even the first step in the decision-making process. Your store can still fail if location is your only concern. What comes before location? Who you want to serve, according to the experts. Your ideal customer should be reflected in each essential aspect of your store: location, design and product composition. Intrinsic to Osborne’s argument is that you can’t appeal to everyone and the more you try, the more watered down your value proposition becomes. “If you don’t have a formal background in marketing either seek professional advice or educate yourself online,” she says. Anchor stores in the area will be key if your preferred customer is seeking convenience above all. If they can grab a ‘Tim’s’ coffee, pick up their garden supplies at Canadian Tire and drop into a Shopper’s Drug Mart to pick up cosmetics before heading to your shop to choose eyeglass frames or contact lens supplies, they’ll be happy campers, indeed. However, the fashion-oriented customer will be attracted to the eyewear store that is near other fashion retailers. Another location type is the main street store, where pedestrian traffic dominates. 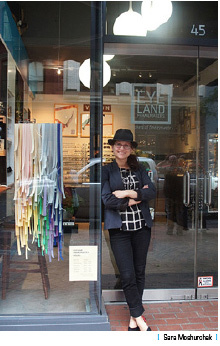 Sara Moshurchak moved her store, Eyeland, from the tourist mecca of Granville Island to the Gastown neighbourhood of Vancouver last January. She found that after 20 years on Granville Island that there were fewer locals shopping, her client base was stalled, and tourists were becoming more reluctant to make high-end purchases. Gastown is also a draw for tourists, with charming historic buildings on Water Street, but it also has residential buildings and other fashion retailers (hat makers, shoemakers and clothing designers) who have made the area one of Vancouver’s most attractive to those seeking artisanal goods, such as the handmade frames Moshurchak offers. Getting professional help with lease negotiations is critical for retailers. “It’s not every day that a retailer signs a lease but we do it on a daily basis so we understand what landlords will do for the right tenant,” says Saul. What could go wrong? You may not recognize a clause in the lease that allows the landlord to terminate the agreement if she wants to demolish the building. Or there may be a clause permitting the landlord to renew the lease at her discretion rather than after a fixed term. There may be deficiencies in the building that you wouldn’t recognize due to lack of experience, or you may be required to pay unreasonable rent. A good agent might also be able to help you avoid the kind of problems that Monea experienced when the car rental company opened in her strip mall. A covenant on your lease can cover what other stores would be allowed to move in next door. You might get favourable signage placement, new flooring or entrances, or a fresh coat of paint. Once you have the location and the lease in place you are ready to create the right environment for your target client. You would be forgiven for assuming the square footage of the space is whatever the lease or landlord tells you it is. But Brian Wolcovitch, director of design for Modular Design Systems Inc., says that landlords measure space differently than leaseholders. “Your landlord or developer measures space from the centre of the outside wall to the window on the front wall. When we start to design your ‘useable space’ we have to make allowances for wall thickness, not only the outside walls but also the interior walls that haven’t yet been put up. We have to create hallways of a certain width to accommodate wheelchairs, for example. The amount of space allocated to your dispensary is an important consideration. Don’t go too small, as many eyecare professionals find that a larger, well-stocked dispensary improves their bottom line. Bedford, N.S.-based optometrist Dr. Toby Mandelman was delighted to find that frame sales increased by 50 per cent when she and her partners moved to a ground floor location and increased the size of their dispensary, under the direction of Wolcovitch. “We just love our new office and get constant compliments from patients. The final result really exceeded my expectations and we couldn’t be happier,” says Mandelman. Product assortment and turnover can be managed with planogram software, suggests Osborne. Planograms are illustrative representations of the store’s products and the software will help you position your best sellers in ideal locations and keep track of inventory. Planogramming is taking a page from large retailers like grocers, where the best-selling products are easier to see and to reach. Osborne recommends looking at planogram software from JDA, Shelf Logic or Smart Draw. Ah, ‘understanding the customer’: haven’t we heard that phrase before? As stated at the beginning of this feature, understanding your customer is a perfect place to start, whether you’re now planning on opening your first dispensary, moving your business to a new part of town, or you just want to succeed beyond your wildest dreams. Whichever it is, go for it!